Since 2009, I have kept track of every book that I read. The file name on my computer is “Books Read in 2009,” which is kind of funny, since it actually covers books I’ve read in each of the last six years, but I can’t be bothered to name it something different. I started doing this many years ago when the writer Matt Bell started posting the books that he read. Now, if I remember right, Matt read a LOT of books, way more than I did, and I was a little jealous that he could get through so many books in one calendar year. I’ve since learned to let go of such jealous, but I have continued to maintain the annual reading list. Why? Not really sure. I like tracking stuff? I only included books I actually finished. Though, to be fair, I have a very difficult time giving up on a book, usually making my mind up in the first twenty pages or so if I’m going to plow ahead. I don’t see any reason to claim I read a book I didn’t actually read. In addition, this means that I only included collections that I read in their entirety. This is a high standard. I actually read more story collections than this, but didn’t finish them or only read parts, and the same is also true of poetry. My list is in chronological order, from January 1st to December 31st. I’ve seen people put their lists in all sorts of different systems, but this is how I think of it, in part, because I really love seeing how and why I shifted from one book to the next, in what ways I may (or may not) have looped back to a theme or author or idea. So, here it is. Onward! I won’t comment on every book, but a few notes. My friend Lee recommended Ron Rash to me, and one of the things I really am struck by with Rash’s work is that he uses curious words. Not words that or right or wrong, but they have voice and style that isn’t too flashy, but also, not so subtle that I don’t know notice. I also had the opportunity to hear Rash read late in the year and get my book signed, which was an absolute delight. I thought this was one of the most overrated and dull books I read all year. I finished it as one of the finalist for the city of Columbia’s annual One Read program. Everyone loves this book. I have zero idea why. I found it tedious in every way, and the characters obvious, safe, and boring. If you know me well, you know this is one of those things that I get irrationally argumentative about (like, say, why pro basketball is vastly superior to college basketball) and there becomes no point in reasoning with me. I thought About Grace, though, was quite good. Both the most difficult and most satisfying book I read all year. Writer Note: James said in an interview that he actually began the book with the gay hitman from Chicago … who first appears in the published book around page 420. That was amazing to me. Everything about this book’s lush, stylish, terrific storytelling is unforgettable, and flinching regularly as I read some of the more brutal passages was actually, weirdly, pleasurable. I’ve been told I need to read his previous novel, too, something I hope to do in 2016. I went on vacation in late July and took two books with me for a week on Lake Michigan. That was not enough books, so I scoured the cottage for other books to read, including these last three. The Dent was not bad. The Puzo is one of the worst books I have ever read. The number of cliches in that book are endless. Maybe my favorite read of the year. I took an African-American literature class in college, and read W.E.B. Du Bois for the first time. 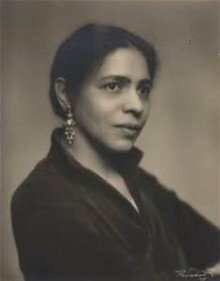 We never read Nella Larsen, and after reading these stories, I wondered why not. To be fair, of these six stories, the first four are not particularly great, but the two novellas are some of the best American fiction I’ve ever read, and Larsen’s insights into race and gender are amazing. Easily the most frustrating book I read this year. I did not enjoy reading this book at all, and so many of my CNF pals love it, and I’m still struggling with it. Howley latched on to these two fighters in a way that I found incredulous and absurd, which I never forget as she explored their lives for three years. So I applied to a job with Oceana, a conservation group based in D.C., and these were two books written by board members and supporters of the organization. I did not ultimately take the job. Also, the Ted Danson book was better. So. I thought this book was overrated. When discussing it with friends, it lead to the most divergent opinions but also the most interesting conversations. Felt to me that books like this – fragmented domestic meta – has been done better elsewhere. But I could be wrong, I concede that. I moved to DC this year, and went to several readings at Politics and Prose, the long time independent bookstore in my new neighborhood. Hearing Johnson read was by far the best. He is a dynamic, funny, engaging reader, and was even better taking questions from the audience and then speaking to everyone who came up to him to get their copy of his book signed. He also wore a backpack. Oh, and these six stories are fantastic. So there’s that. I read two Steinbeck novels this year, and admittedly, they are not two of his best novels. These are the Steinbeck novels taught to junior high honor students. I picked them because I could read them in one day (and I did) but the word that keeps coming to mind when I read Steinbeck is “overwrought.” Perhaps in 2016, I’ll try a better book by him. There is no happier ending to the reading year than a necrophiliac murderer hunting the woods in the 1960s.